VRTS product from NI provides Hardware-in-the-Loop testing capabilities for ADAS equipment and vehicle autonomy projects. National Instruments (NI) has announced the Vehicle Radar Test System (VRTS). Engineers can use the VRTS to test 76–81 GHz radar technology from the R&D lab through high-volume production test and from individual radar sensors to integrated advanced driver assistance systems (ADAS). The VRTS is available through select NI Alliance Partners who provide advanced system integration and support. The VRTS combines NI’s mmWave front end technology, a PXI Vector Signal Transceiver (VST) and application-specific software. 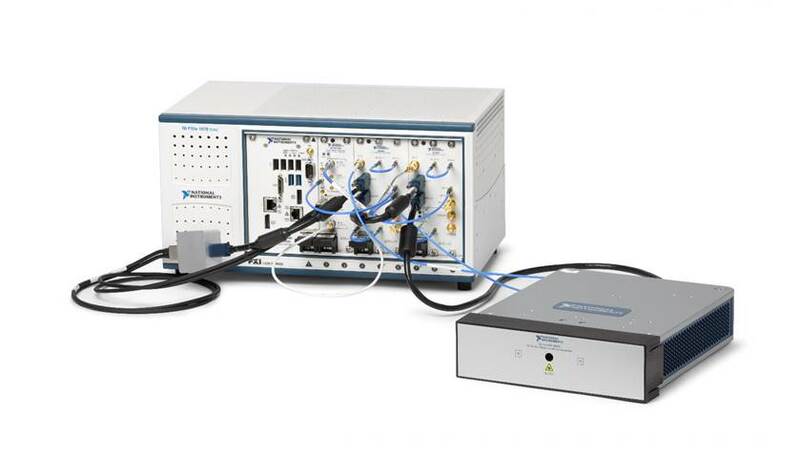 Unlike traditional automotive radar simulators that are only capable of obstacle generation for functional behavior test, the VRTS integrates a 76–81 GHz vector signal generator/analyzer designed for dynamic obstacle generation and comprehensive RF characteristic measurements. Using a more comprehensive approach to radar test that includes both traditional and hardware-in-the-loop (HIL) test techniques, engineers can deliver more robust autonomous driving technology to comply with evolving regulatory requirements. NI will distribute the VRTS through VRTS Specialty Partners including Hirain Technologies, Konrad Technologies, Linktron and Noffz Computer Technik. VRTS Specialty Partners deliver advanced radar test software and systems that are customized to address exact customer requirements. The VRTS scales from a base configuration that can emulate two obstacles to sophisticated configurations that can emulate four independent obstacles per PXI chassis. Key VRTS attributes include the ability to simulate Doppler effect velocity of up to 250 km/hr, minimum obstacle range of 4 m, object distance resolution down to 10 cm, support for multiple angles of arrival and variable radar cross sections. The VRTS includes both object simulation capabilities and the radar measurement suite. In addition, engineers can take advantage of the flexibility of the software to use the VRTS to simulate scenarios ranging from a pedestrian walking across the street to lane-change driving scenarios. VRTS software flexibility is a key benefit of the system as engineers can easily adapt to rapidly evolving regulatory environments. Built on a flexible software and modular hardware platform, the VRTS is the latest system offering from NI. The VRTS empowers engineers to build smarter, highly customized test systems to verify automotive radar sensor performance. Users can also benefit from the productivity of the LabVIEW, VeriStand and TestStand software environments, along with a vibrant network of partners, add-on IP and applications engineers to help dramatically lower the cost of test, reduce time to market and future proof testers for tomorrow’s challenging requirements.